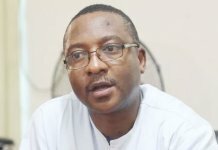 The embattled former national chairman of the Peoples Democratic Party (PDP) has asked the Chief Justice of the Federation and the National Judicial Commission to investigate the activities of of the Federal High Court, Port Harcourt Division. Sheriff, who expressed his frustration at his unsuccessful attempt to get justice and to stop the national convention of the PDP, which he considers to be illegal, said that he has realized that what President Muhammadu Buhari was saying about the problem in the judiciary was right. He alleged that as part of a ploy to frustrate his case, registry staff of the Federal High Court in Port Harcourt ran away from their duty posts and kept his lawyers searching all over the place to enable them file their papers. 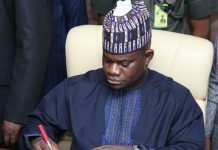 Speaking at a press conference in Abuja on Tuesday, Sheriff alleged that the registry staff of the Federal High Court in Port Harcourt disappeared from their duty posts when his lawyers came to file his defence on Tuesday. Aggrieved Sheriff said he was ready to quit the stage even if it is only a segment of the party members did not want him but that the process must be right. 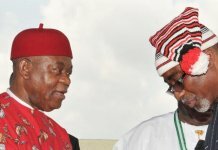 He said that he would not recognise the national convention to be held this Wednesday in Port Harcourt or anyone elected at the event, adding that he was ready to pursue the court case until justice is done.